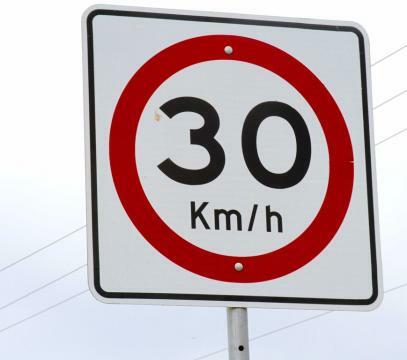 Dublin City Council announces the Phase 2 expansion of the 30km/hr Slow Zones in certain urban areas and residential estates in the following areas: Sandymount, Crumlin, Drimnagh, Raheny, Artane, Donaghmede, Drumcondra, Glasnevin and Phibsborough with effect from midnight on Tuesday, 30th May, 2017. The Phase 1 expansion to the 30km/hr Speed Zones in the city was introduced on 1st April, 2017 in certain residential areas and in the vicinity of schools in areas of Dublin boarded by the Canals. Bye-laws for the 30km/hr expansion were adopted by Dublin City councillors in December 2016 following a period of public consultation. The speed on the arterial roads will not be reduced at this time, but will be reviewed as part of Phase 3, expected in 2018. Details of Phase 2 expansion is available to view at http://bit.ly/30kmhrExpMay2017. Dublin City Council will be supporting An Garda Síochána’s National ‘Slow Down’ Day , from 7am on Friday, 26th May to 7am on Saturday, 27th May 2017.